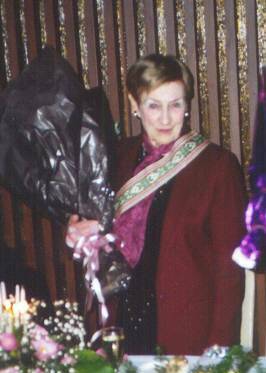 The ballet world in Australia, Lithuania and elsewhere overseas was saddened by the death of Janina Drazdauskaitė - Čiunovienė (Cunova) on August 1, 2007, aged 93. Janina was an internationally recognised ballet teacher, who continued teaching until a few weeks before her passing. She has been cited as among the ten best ballet teachers in the world (Gretchen Ward-Warren, "The Art of Teaching Ballet. Ten Twentieth - Century Masters", University of Florida Press 1996). One of her strengths was that she was expert in both the Russian and the Royal Academy of Dancing, London, (RAD) methods. in 1935, during the Lithuanian Ballet’s overseas tour. 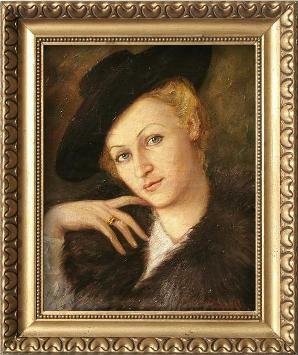 Madame Janina Cunova (as she was often called) was born in Kaunas, Lithuania. After training at the Kaunas National Ballet School, she joined the Lithuanian Ballet Company in 1934 and took part in the company’s first overseas tour to London and Monte Carlo in 1935. In 1934 Janina married Boris Čiunovas, an original 1925 foundation member-dancer of the Lithuanian Ballet. Towards the end of World War II the family left Lithuania and joined the Vienna State Opera Ballet Company and, at the end of the war, joined the entertainment unit of the USA Occupation Forces. 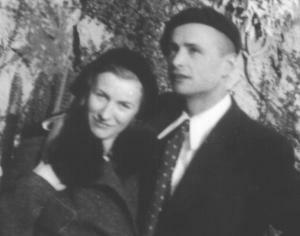 Later in Augsburg, West Germany, with her husband Boris and sister Regina and many original Lithuanian Ballet dancers, formed a Lithuanian Dance Company. They performed in cities throughout West Germany. During Janina’s 90th birthday celebrations. the Edouard Borovansky Academy, Ballet Victoria, the Australian Ballet School and the Victorian College of the Arts. From 1978 the American Ballet Theatre’s ballet master, Jurgen Schneider, invited Janina to participate in Russian Method University Summer Ballet Programs and Teacher- student Workshops (TE-WO) in the USA. Here she joined many internationally acclaimed faculty and taught for many years. A sentimental journey to Lithuania in 1997 gave Janina an opportunity to give guest classes to the M.K.Čiurlionis National Ballet School and the Lithuanian Ballet Company in Vilnius. She last taught overseas in 1998 in Puerto Rico and as recently as 2005 she was invited to teach in Brazil, but was unable to take up the invitation. The funeral service for Janina was held on August 4 at Tobin Brothers Funerals in East Burwood (Melbourne). Janina is survived by her daughter Inga, granddaughter Ingrid and her family and her niece Ramona. It seems just when most people in retirement took life easier, Janina continued teaching, expecting nothing less than perfection. Her contribution to ballet was immense and a lifetime effort. She will be fondly remembered by all whose life she touched - her family, friends, colleagues and her very many students.